When you think of an endurance athletes diet, many people think long distance runners and cyclists and other endurance athletes, spend most of their calories eating pasta. This is partially true, but their bodies need much more than carbs. Also, a lot of people think these athletes can eat whatever they want because of higher metabolism or they will burn the calories with the next cardio session. However, as with any other athlete, it is important that these athletes establish just as healthy eating habits as any other. The food you eat should be of good quality. A good diet consists of protein, carbs, and many fresh vegetables and fruit. By “good quality,” that doesn’t mean that chips count as carbs, fried fish as protein, and French fries as vegetables. You also need to consider how many calories you should be consuming per day. According to the US Dept. of Agriculture, women who are active should eat 2,000 to 2,400 calories per day, and active men should consume 2,400 to 3,000 calories per day. You can spend these calories however you wish, although it is important that your body gets enough nutrients to keep you training healthily. Carbohydrates You hear of athletes “carbing up” before races and holding pasta parties with teammates. Many foods have carbohydrates in them, but when you eat carbs, they should be nutrient dense. Some examples of good food sources for carbohydrates would be rice, pasta, whole wheat bread, oats, wheat cereal, and crackers. For endurance athletes, about 70% of diet should consist of carbs, unless you intend to increase your protein intake to cut down on carbs. Because your body digests carbs slowly, the energy will last much longer than if you eat a candy bar that burns off quickly. Protein An average person needs .36 grams of protein per pound. Endurance based activities, require more protein to sustain their energy throughout the day and throughout their workouts. An equation you can use to figure out how much protein you need for your body is to multiply your weight by .45 grams. The number you get will tell you how many grams of protein you need daily. This number would be the minimum amount of protein you should eat. 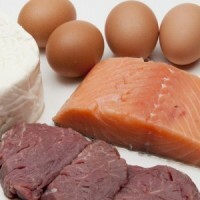 Examples of good protein are grilled meats (steak, chicken, turkey, pork), soy patties, eggs, beans, and nuts. Fruits and Vegetables Fruits and Vegetables are not a main course, but they do provide a good source of energy to your body. You can eat them as a mid-day or post-run snack or as a side for your meal. Fruits and vegetables provide nutrients that are essential to your health like vitamin C, dietary fiber, folic acid, and vitamin A. Fruits and vegetables contain no cholesterol, and they naturally have few calories and little fat. 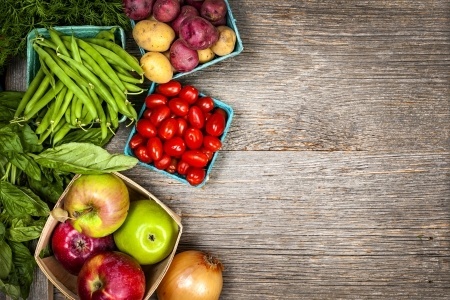 It is never a bad idea to add a fruit or vegetable to your daily food intake. 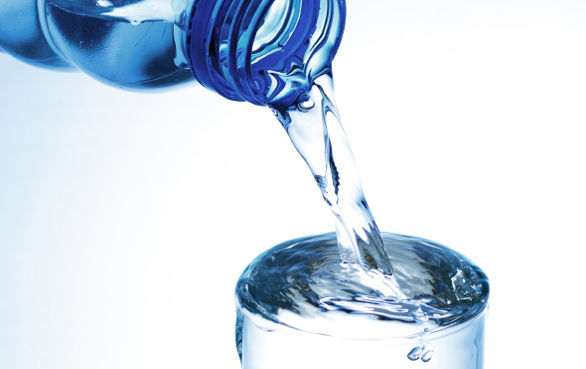 Water It is essential that you hydrate yourself throughout the day. You should drink about fifteen minutes or half an hour prior to your cardio and immediately after your session. It is ideal to carry around a water bottle with you if you don’t think you will have a break to get water. Vegetarian Diets You can be a vegetarian and still get the appropriate nutrients and energy to be healthy. 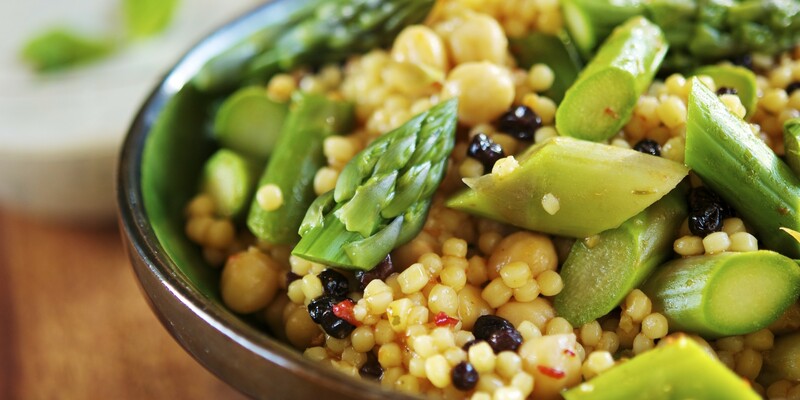 There are many alternative foods that still provide protein such as quinoa, soy, beans, nuts, and tofu. As a vegetarian, you should still go by the same standards for the amount of nutrients you need; you will just get them in a different way.